Download PS Form 1000, also known as USPS Claim For Loss Or Damage. 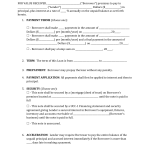 This form, along with supporting document and/or receipts is what you will need to file a claim with the United States Postal Service for recovery of property or funds if they are lost or damaged. Step 1 – Read the information located on the first page to be clear with regard to what is needed to successfully file a claim with the United States Postal Service. Your original mailing receipt for Insured, COD or Registered Mail, Express Mail service. Supply any original mailing receipts for Unnumbered Insured and/or Express Mail service must be surrendered at the time the claim is initiated. Evidence of value, such as a sales receipt (if applicable), invoice or bill of sale, or statement of costs for reconstruction of Express Mail service documents. Either the mailer or recipient may provide evidence of the value of the contents of the insured package. If this was an Internet purchase, you also must provide a copy of the front and the back of the canceled check, money order, or a copy of the credit card billing statement. If this purchase was acquired using an Internet account, you must provide a final transaction sheet indicating the amount deducted from the account as required. (c) Evidence of the value of the contents and (d) Estimated repair (should it apply). Step 6 – Section A – 5. COD Amount to be Remitted to Sender (for business mailer COD claims only. 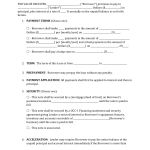 Step 9 – Take the completed form along with section B to a local claim center. Do Not Complete any part of section B as this is reserved only for the postal employee where the claim is being filed.